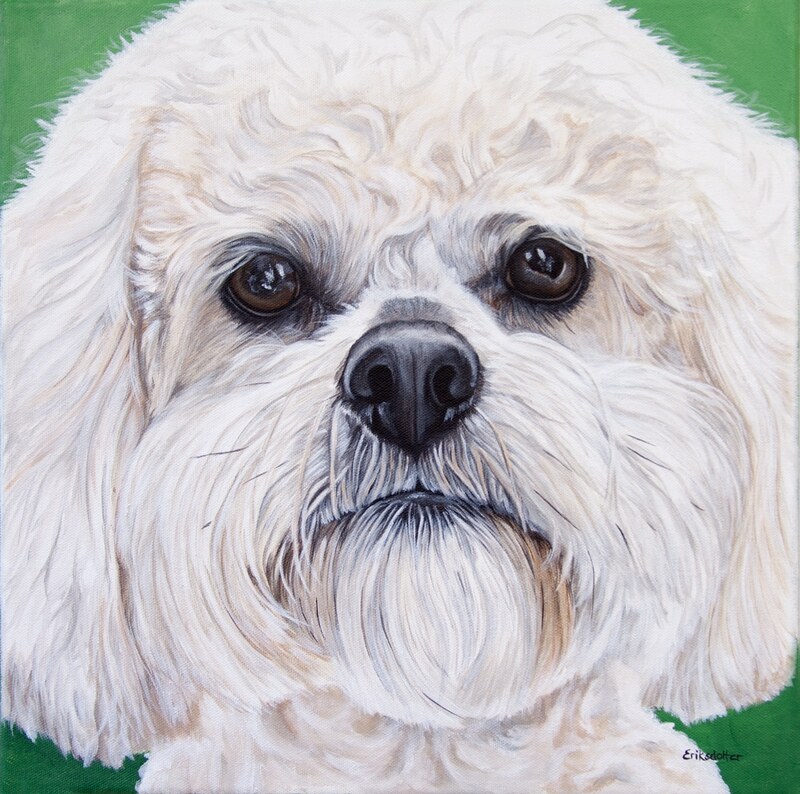 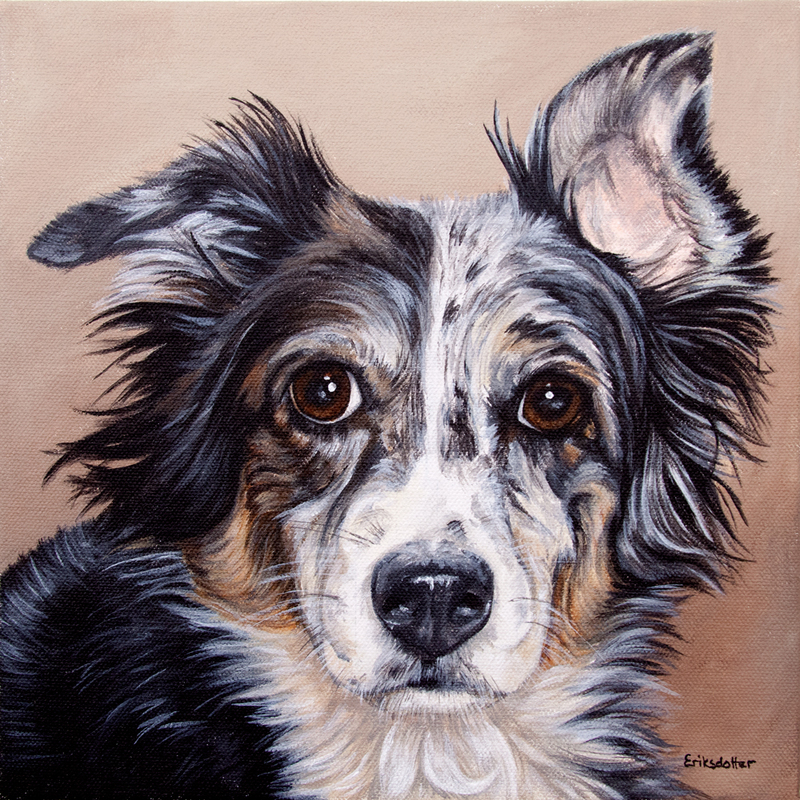 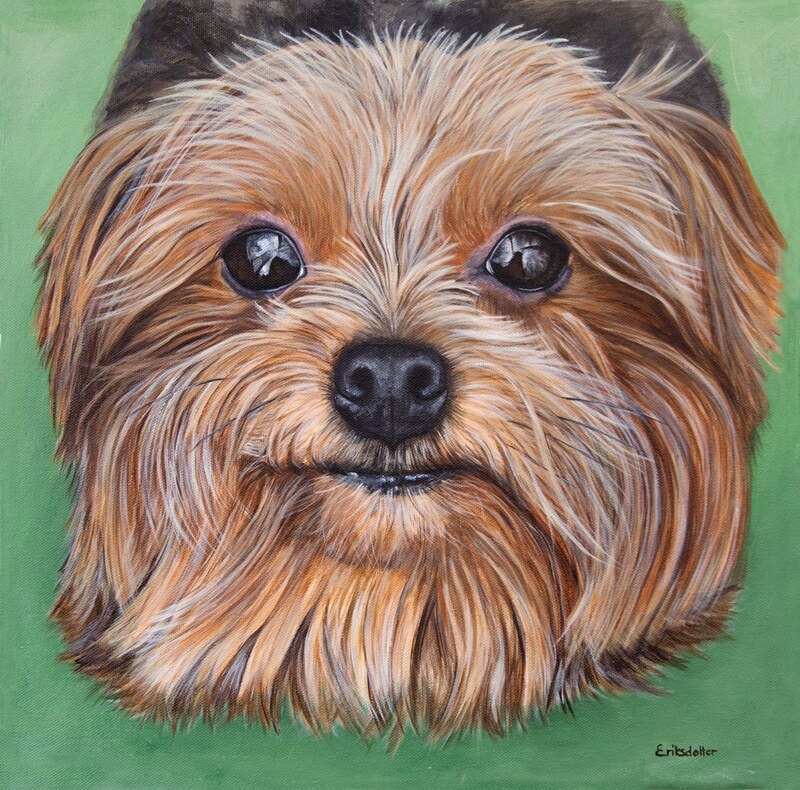 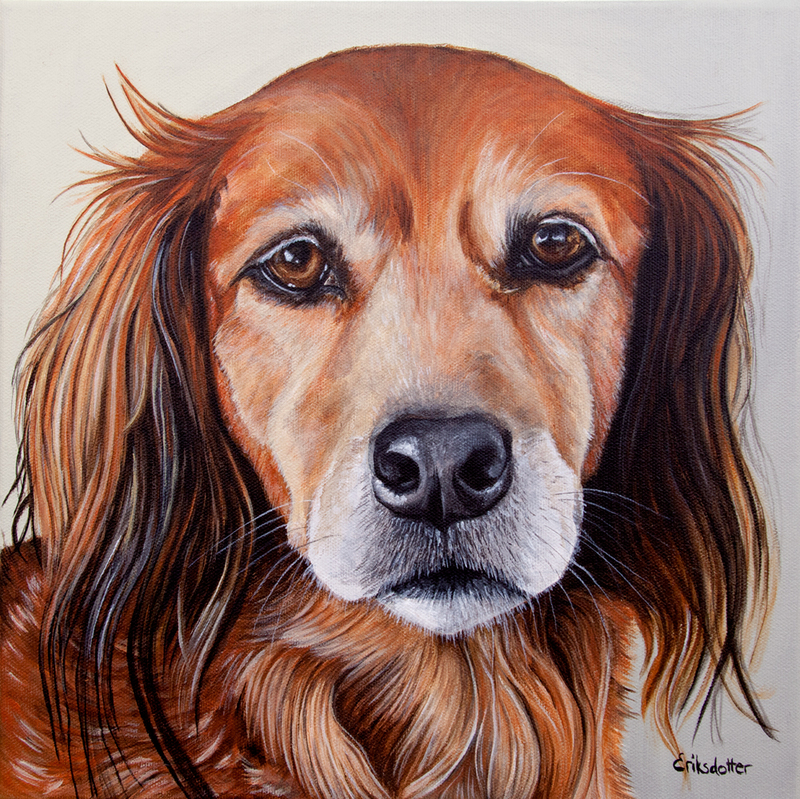 Elsa’s portrait is an original painting commissioned by a repeat client from Maryland. 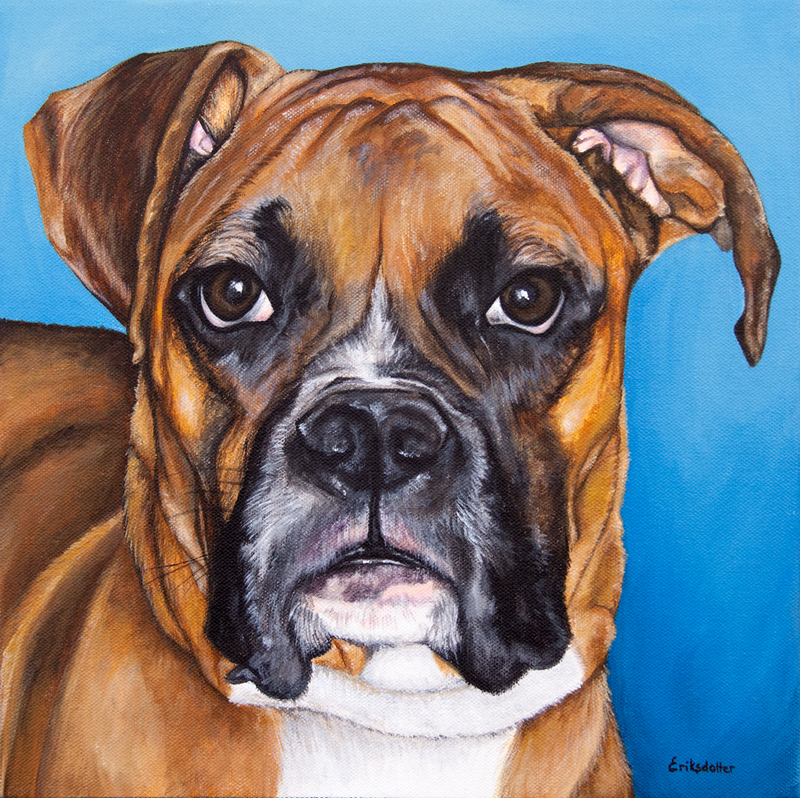 This was the companion piece to Roxy’s portrait which she won at the Knock Out Abuse‘s auction. 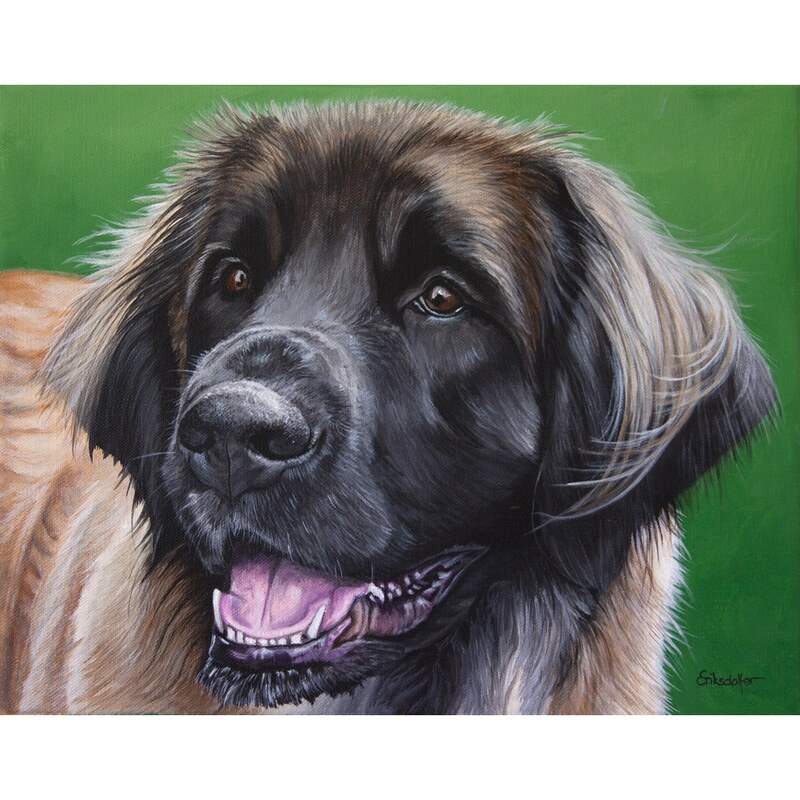 What a treat to paint this award winning “Grand Champion” Leonberger, and Roxy – both gifts for my client’s husband, but truly a gift for the whole family who loves these dogs so much. 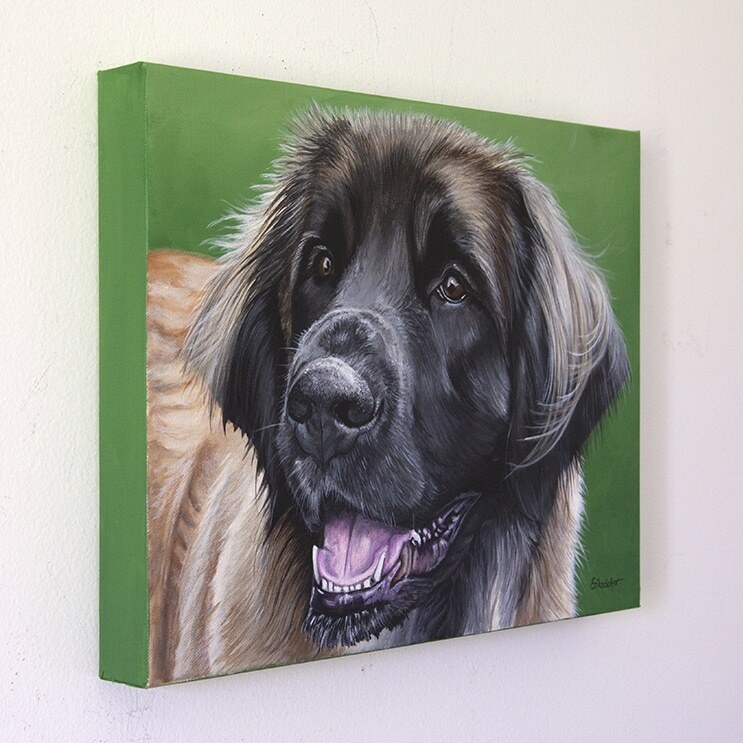 I knew from the start that Elsa would look wonderful against a calm, green background, but it was important the two portrait would work together – side by side. 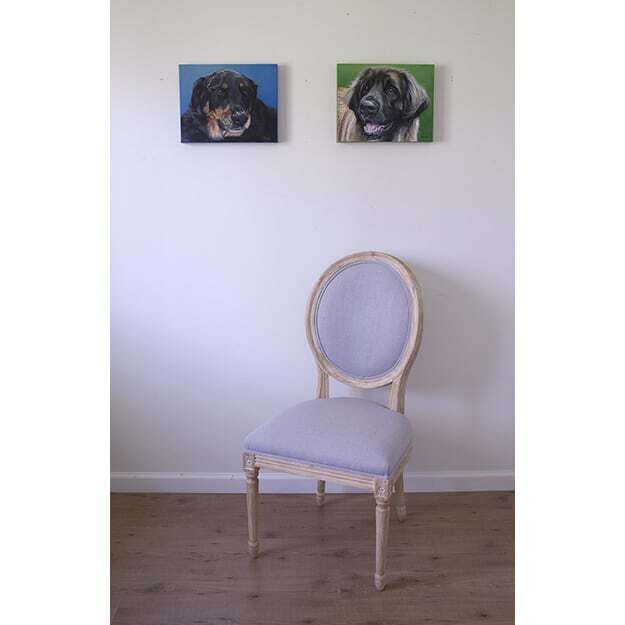 With a creative license from the client, I decided this deeper green for Elsa, and an equally calm yet intense blue for Roxy. 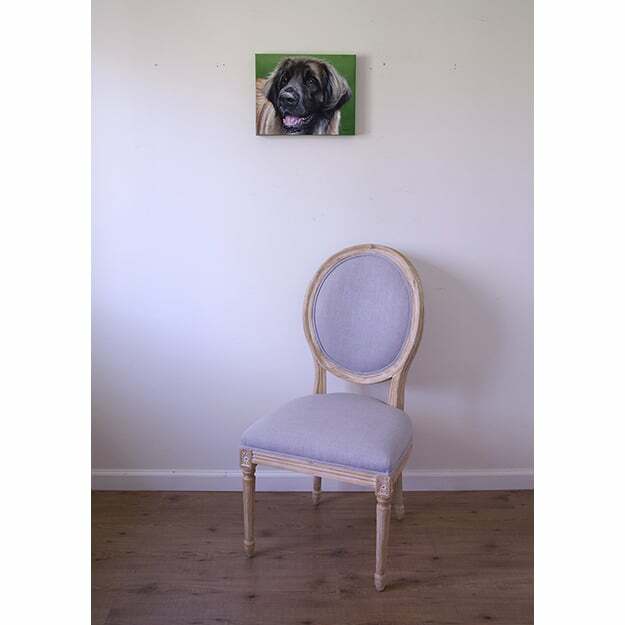 – M.S. 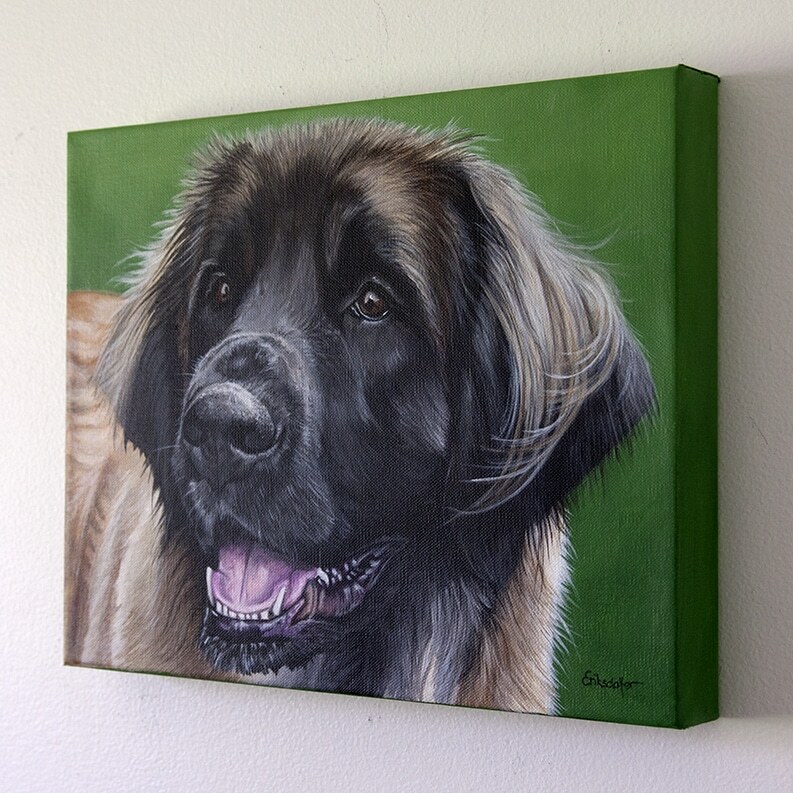 of Maryland, a repeat customer who’s commissioned Roxy, Elsa and Rosie.